Nottingham Tree Services are Reliable Local Tree Surgeons and Arborists that specialise in all forms of Tree Care. Click here to call Notts Trees. ​We take tremendous pride in offering the highest quality tree services to all of our customers. 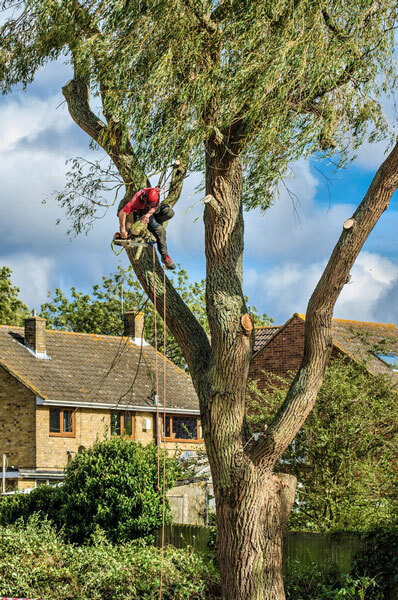 We deliver a highly professional and complete tree care service to residents of Nottingham and the surrounding areas, providing solutions for a full range of needs. We use the very latest techniques and equipment, delivered by our highly professional local Nottingham Arborists which is why we're recommended Tree Surgeons. We have fully insured professionals whose work is fully guaranteed to be of the highest standard. What to expect from Nottingham Tree Services? 1. Our Promise. Our promise is to take control of everything from inspection to diagnosis and planning, to arrive at the best possible solution to your problems. 2. Unique Approach. Nottingham Tree Service is aware that each client is unique and will have diverse wishes and requirements. Our aim is to meet your individual needs and to do a professional and complete job. 3. Emergency 24 Hour Service. Tree care emergencies do unfortunately happen. During storms or even an act of nature or neglect, trees do sometimes fall without warning. This can cause health and safety issues e.g. obstructions to roads or damage to property. Our team of qualified tree surgeons are on standby 24 hours a day and can respond to these emergencies extremely quickly, to assess the damage. We aim to be extremely prompt in our Emergency Service response time. We work closely with Roofing Contractors Nottingham when trees have fallen onto roofs. We can recommend them unreservedly. 4. Qualified Tree Surgeons. Our professional and dedicated tree service experts are fully insured and are very highly trained and qualified in handling of all tree care matters. Commercial – Most people understand the need for a first impression of the furnishings, presentation and decoration of the interior of their business premises, but few realise the visual impact of the first sight of the outdoor area. We believe that a neat and tidy exterior with healthy and well-cared-for trees and shrubs is a vital part of the creation of this first impression. Residential – A home surrounded by healthy and well-kept trees is a great asset to its owners. It can not only maintain or increase the value but can be a source of pride to its owners. Our main aim is to make sure that your trees are restored and kept to the best possible standard and condition. Tree Cutting and Removal – Tree cutting, removal and maintenance can be a dangerous and unsafe process. We, at Nottingham Tree Services, have the necessary qualified and trained operatives, to ensure that problems in this area are avoided, using modern methods and machinery. Tree Planting – To ensure long-lasting health and beauty for your trees and shrubs, it is essential that all planting of new trees is done correctly. Here at Nottingham Tree Services, we have highly trained staff, with all the correct certification needed, to make certain that the right type of trees are chosen and planted in the correct location, to ensure that their growth and life span are optimised. This will guarantee many years of satisfaction. Crown Reduction – Crown Reduction is a technique for removing part of the upper section of a tree, for a variety of reasons, including the protection of your property and nearby power lines. Brush and Wood Chipping – Tree maintenance creates a large amount of organic waste. We can use our industrial wood chipper to professionally make chipping to create mulch for your soil, which then helps to retain moisture and keep weeds at bay, improving soil fertility and making your garden far more eye-catching. Logs – We can also use our machinery to reduce large trunks and branches to make suitably sized logs, suitable for storing and drying, for use on the fire or wood burner in winter. Stump Removal and Grinding – We can use our industrial stump grinder to grind away any stump that you may need removing from your property. We will also fill the hole left with either topsoil or grinding left over from the stump. No tree project is too big or for that matter too small for Nottingham Tree Services, who are more than happy to provide you with a free estimate. All our work is guaranteed to give you peace of mind. Tree Risk Assessments - When we provide you with a professional risk assessment for your tree, we will use a certified method proven to give accurate readings which are important. Our risk assessment method is quick, thorough, and certified. Give us a call right now or today on 0115 824 9899 for the best information on our tree planting and transplanting services. If you’d rather prefer, you can always simply fill and complete our convenient online form and one of our friendly team of tree care experts will call you back promptly. Here at Notts Trees, we are the most reliable local Tree Surgeons. We specialise in the best Garden Landscape Designs there is Tree selection, location planning and planting are all a must. 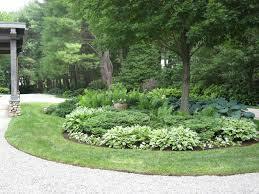 This process is the first stage and is of vital importance to the planting of any new trees. Getting it right at the very first stage will ensure nothing goes wrong and enables many years of trouble-free enjoyment. Here At Nottingham Tree Service, we are always aware of the importance and impact that lovely green trees play on the environment, enhancing and keeping the landscape beautiful and most importantly improving air quality. Let us handle any issues or request or all planting and transplanting needs or any requirements you may have. What can you expect from Nottingham Tree Surgeons? 1. Experience. That’s for sure We have a highly trained, professional team who will make and ensure that the correct sort of trees are selected and planted according to the nature of the tree, this tress must have a correct position to have potential growth. When choosing specialised trees that can be expensive maturity and growth are paramount. We can make all this easy; we carefully plan every last detail, light variety, colour, and safety are precisely in the correct position to make future maturity and growth an easier and safer process. This, as well as a carefully planned and maintained programme of care, this almost certainly can only result in the best long and healthy lifespan making you happy and will guarantee many years of satisfaction. 2. Soil Analysis. Very important part depending on the variety of plant. This will prevent the planting of unsuitable trees or plants for your property. We have the ability to analysis any sample and quality of the soil. This type of test will determine the soil composition and levels of ph which are present in the soil. Acidity levels and ph are values which are present in most soil and have a big effect on different varieties of trees and will affect longevity in trees too. 3. Native Trees. Which are the preferable trees to plant in the Nottingham area? Native trees always tend to be the best growers, but having said that with the tools we have knowledge and experience, altogether with our maintenance programme, we have proven non-native trees can be grown and with success. 4. Purpose. A native tree means a tree being planted for a specific reason, i.e. A shade feature will probably be a vastly different from a decorative specimen. 5. Precautions. There are many different safeguards that need to be taken into consideration when planting trees. Call Nottingham Tree Service the professional, and seek the help of one of our many tree care specialists. Give our experts (tree doctors) a call today on 0115 824 9899 or just complete the form on the upper right and we will be happy to call you back to schedule a site visit when we can give you free advice and a free quotation. You'll then see that we are a very affordable Tree Service. When you ask - Is there a Tree Surgeon near me? Notts Trees cover all areas of Nottinghamshire area including Bulwell, Basford, Bingham, Arnold, Mapperley, Burton Joyce, Carlton, Colwick, ​Papplewick, Ravenshead, Hucknall, Mansfield, West Bridgford, Ruddington, Wollaton, Beeston, Long Eaton, Eastwood and all surrounding areas & villages. "A Really professional job removing a few trees from our garden. Great price too. Would recommend to anyone."